Mandi: Indian Institute of Technology Mandi celebrated its 10th Foundation Day today (24th February 2019). Since its inception, the Institute has been making rapid strides in Science, Technology, Innovation, Academics, Entrepreneurship, Research and Development. IIT Mandi celebrated the occasion with an event on campus in which the Chief Guests were Mr. Raj Kamal Singh, Mr. Gaurav Yadav, Mr. Saurabh Jain, Mr. Ishansh Singh, Mr. Mohit Kumar Malhotra, alumni of the first B. Tech batch (2009 – 2013) of IIT Mandi. The vision of the Institute is to be a leader in science and technology education, knowledge creation and innovation, in an India marching towards a just, inclusive and sustainable society. During the event, three volumes of Kamand Valley Monographs published by the Institute on the culture, history, wildlife and ecology of the region was released. Also, the team from the newly-formed Institute Archives presented a slide-show of the photographs of the evolution of the campus. Since the first batch of 97 students got admitted in July 2009, the Institute has grown by leaps and bounds and is targeting 5,000 B.Tech, M.Tech., M.Sc. and M.S. and Ph.D. students by 2029. With nearly about 80,000 sq.m. of construction already completed, another 1.5 lakh sq.m. is under construction now. IIT Mandi hosts state-of-the-art research facilities such as the ‘Class 100 Clean Room’ facility, a world-class center that is first-of-its-kind in India, and an Advanced Materials Research Centre (AMRC), created with an investment of about Rs. 50 crore. Whether in terms of research, industrial collaborations, innovations, entrepreneurship culture, placement, student activities or social initiatives, IIT Mandi has made giant leaps in a short span of time, thanks to the hard work of the Faculty, students, Staff, Administration Alumni and other stakeholders including. IIT Mandi has a unique project-oriented curriculum that engages students in solving real world problems. Students and faculty have a strong interest in designing products and technologies for practical applications. To implement this, the Institute is planning to start a Centre for Product Design in 2019. It will conduct courses for students on ergonomics, aesthetics and engineering design, among other fields. This will help students, faculty and startups to create better products. 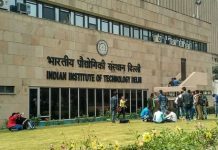 IIT Mandi spearheaded a campaign to increase the enrolment of women students in IITs to increase the participation of women in science. A committee under Prof. Gonsalves, made several recommendations in this direction. IIT Mandi is planning to offer two new UG programmes in the next two years: B. Tech. in Engineering Physics and B. Tech. in Bioengineering. The B.Tech. in Engineering Physics is aimed to enhance the cross-functionality between disciplines and bridges the gap between pure science and traditional engineering. The curriculum will introduce the students to a wide variety of fields in pure as well as applied Physics. B. Tech. in Bioengineering strives to train students in the field of physical, mathematical and biological sciences together with engineering principles for the development of technology. It also aims to provide diagnostic, therapeutic, and assistive support for healthcare. Over the years, IIT Mandi has seen strong placements. Companies including Indian Space Research Organisation (ISRO), Goldman Sachs Group, Amazon, Microsoft, Code Nation, Optum, SMS DataTech, Samsung, Publicis Sapient, Aasaanjobs, Shopx, Domino Data Lab, Mastercard and Larsen and Toubro have recruited the students. For the placement 2018-19, as many as 78 students have already been placed in Phase I compared to 86 during the entire preceding Academic Year (2017-18). Of these, 17 students got placed through Pre-Placement Offers, which are the result of internships in companies/firms converting to job offers. This includes two international PPOs made this year (2018-19). The strong inter-disciplinary culture resulted in IIT Mandi being chosen to lead the ambitious FarmerZone Project of Department of Biotechnology, Govt of India, with a sanctioned budget of Rs. 7.5 crore. This multi-national effort is aimed at using Artificial Intelligence to provide crop management advisories to small and medium farmers. By 2018, the project had enrolled 1,000 potato farmers in Punjab and Uttar Pradesh. The Institute is also working on a ‘eMandi’ Project, under which it is working to convert all auto rickshaws in Mandi district to e-autos in the next few years. The institute is working with several leading manufacturers to evaluate the performance of e-auto/e-rickshaws in a hill terrain to understand upgrades needed for power range and other areas. Dr. Rajanish Giri, Assistant Professor of Biotechnology, IIT Mandi, and his team’s research finding led to understanding of Intrinsically Disordered Proteins (IDPs) or dark proteome in the Zika Virus system. Recently, his work has identified a viral protein on which hydroxychloroquine (HCQ), a drug commonly prescribed for treating malaria acts. This finding is important as development of drugs against ZIKV hinges on understanding the interactions between the potential drug and the target components of the virus. A research team lead by Dr. Venkata Krishnan, Associate Professor of Chemistry at the School of Basic Sciences, IIT Mandi, developed a nature-inspired material that can harvest water from fog. The researchers have designed water harvesting surfaces based on the surface structure of the leaves of an ornamental plant called the Dragon’s lily head (Gladiolus dalenii). Dr. Varun Dutt and Dr. K. V. Uday, Assistant Professors, IIT Mandi, and their team has developed a low-cost landslide monitoring and warning system against landslide disasters, which is a common problem in the Himalayan mountain belt. With support and encouragement from the Mandi District Administration, 10 systems were deployed in the Mandi district at different landslide sites along the Mandi-Jogindarnagar and Mandi-Kullu highways. Several other system deployments are currently in the pipeline. Some of the notable alumni of the Institute are: Dr. Mohit Kumar Malhotra, Scientist in Defense Ministry, Government of India; Mr. Dhirendra Kumar Singh, First Entrepreneur of IIT Mandi; Mr. Athar Aamir Khan, IAS 2015, (All India Rank – 2); Mr. Pradeep Seervi, GATE 2015, AIR – 1; Mr. Shubham Ajmera, First IIT Mandi Student to be placed at Google and Mr. Aditya Chauhan who received the Young Scientist Award (2014-15) in the Materials Science category in the 102nd Indian Science Congress. The foundation stone was laid at Kamand, the site for the permanent campus of IIT Mandi, on 24th February 2009. The admission of the first batch of students took place in July 2009 and their classes were conducted from 27th July 2009, onwards. A transit campus of IIT Mandi had been developed at Vallabh Government College, Mandi in August 2009. The buildings of the transit campus were handed over by the Himachal Pradesh Government to IIT Mandi in November 2009. In September 2012, the 1st batch shifted to Kamand campus. The Mandi District Administration has also contributed to the growth of IIT Mandi and has collaborated with the Institute on various projects. The Institute began its operation with 98 B.Tech. and 6 MS scholars and Ph.D. scholars in 2009. In March 2011 the Institute had 32 Faculty. In 2018, 1,281 students graduated including 627 B. Tech., 278 Ph.D., 49 M.S., 133 M.Sc., 177 M.Tech. and 17 I-Ph.D. Research Scholars. In 2018 the Institute hosted 104 Faculty and 150 staff.